With the Taliban threatening to overrun large parts of Afghanistan, First Vice President Abdul Rashid Dostum is seeking help from an old ally — Russia. A graduate of the Soviet Military Academy and a general in the Soviet-backed Afghan army, Dostum is hoping his old links to Moscow will help him secure crucial military support for Afghanistan’s besieged security forces. A trip to Russia took him to Moscow and Chechnya, where he met with Ramzan Kadyrov on the Kremlin-backed regional strongman’s birthday on October 5. Dostum, who led an ethnic Uzbek militia during the civil war of the 1990s, landed in Moscow last week. He has held talks with top Russian security officials, pleading for heavy weapons and helicopter gunships for the 350,000-strong Afghan National Security Forces. But Faizy said that would not mean direct military intervention by Russia, which is still mindful of the 1979-89 war that killed some 15,000 Soviet soldiers and has repeatedly said it would not send troops to Afghanistan. Russia has also pledged to pressure the former Soviet republics of Central Asia, three of which border Afghanistan, to boost support for the country, Faizy said. Faizy said Russian officials told Dostum they were concerned about Islamic State (IS) militants gaining ground in Afghanistan and the Taliban’s brief capture last week of the northern city of Kunduz, the first time the militants have overrun a major urban center since being ousted from power by the U.S.-led invasion in 2001. The Taliban’s capture of Kunduz was a major embarrassment to the U.S.-funded Afghan security forces, fueling questions over whether they can fend off militants without NATO troops, most of which pulled out of the country last year. 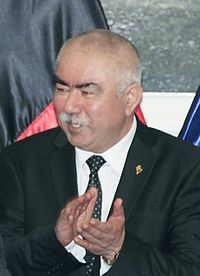 Dostum has urged the Central Asian countries — where he has visited regularly — to provide weapons and other military support. Last year, Dostum made unofficial visits to Uzbekistan and Kazakhstan in order to negotiate potential deals for such assistance. But he came back empty-handed. Dostum is now hoping his former connections with Moscow will translate into direct support. The former strongman studied in the Soviet Military Academy in Moscow in the 1980s and then served as a general in the Afghan army, commanding his own militia battalion that fought against the mujahedin guerrillas. Dostum’s militias received extensive funding and weapons from Moscow. After Moscow cut off aid to the communist regime in 1992, Dostum switched sides and joined the rebels until the Taliban seized Kabul. He would spend the intervening years in exile in Turkey and the Central Asian states before he returned to Kabul permanently in 2009. While in Russia, Dostum paid a visit to the North Caucasus region of Chechnya — and posted a photo with his “friend” Kadyrov on Facebook on October 5. Kadyrov posted the same snapshot on Instagram. Dostum said the two discussed “the fight against terrorism, especially against Daesh,” using the Arabic acronym for the Islamic State group, which is also known as ISIS. Local Chechen media quoted Dostum as praising Kadyrov’s own experience in battling terrorism. “Both Ramzan Kadyrov and I have been waging the struggle with international terrorism,” Dostum was quoted as saying by Grozny-inform.ru. Rights activists accuse Kadyrov of condoning abuses, ignoring Russia’s constitution, and creating a climate of fear to suppress an Islamist insurgency and separatism in Chechnya, the site of two devastating post-Soviet wars that revived memories of the Afghan conflict. Frud Bezhan covers Afghanistan and the broader South Asia and Middle East region. 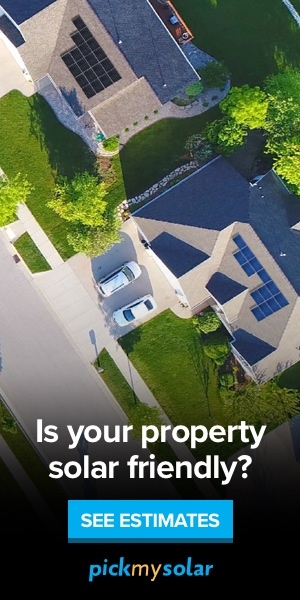 Send story tips to bezhanf@rferl.org.